Why Likitha from IIT-ISM Dhanbad Interned at Sayint and Ditched Top MNC’S? With a string of technologies emerging faster than the earth completing a spin around the sun, it can be overwhelming to understand which path to take to steer your career in the right direction. Taking an internship with a firm can be a good starting point for many, especially those who are equipped in terms of knowledge post their college degree. Sayint.AI is an Artificial Intelligence-based product company, with speech analytics being the core of its core technology. Interning at Sayint.AI has opened doors to many young professionals, who find AI enticing but are not completely sure of its application or don’t know how to apply their literal knowledge. Katakam Krishna Likhita, B.Tech from IIT Dhanbad interned at Sayint.AI to understand the real-world application of AI technologies. 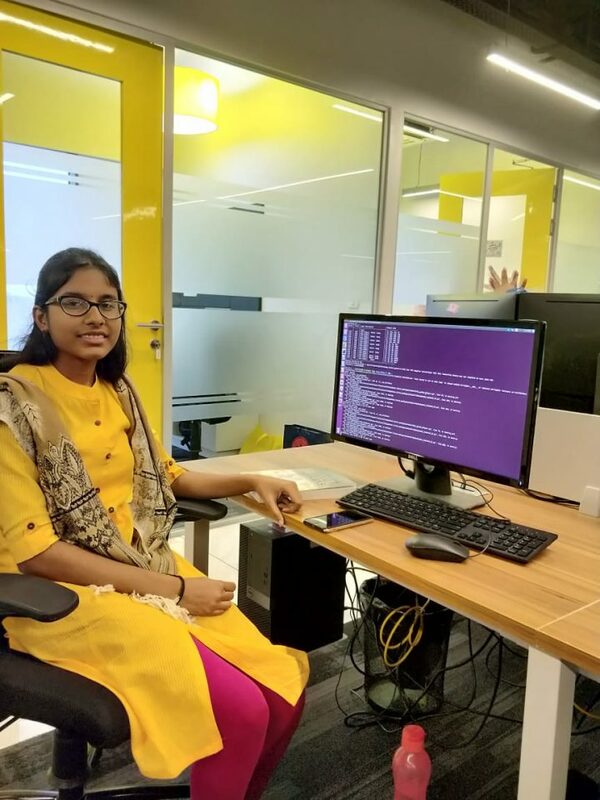 She wanted to make a difference through her work, and hence chose a startup than a typical MNC, which allowed her more freedom to express and provide solutions in a more creative manner to everyday business issues. She finds it easy to cite that a company like Sayint does not have a strict hierarchy thus allowing learning without barriers and red tape. Interns get to brainstorm and provide many ideas, instead of following the thumb rule and also get to see their implementation on a real-time basis. The interns here even have access to Mentors, asking them a myriad of questions ranging from basic operations to even marketing techniques. Immediate feedback to interns gives instant appreciation, which increases their productivity and initiative levels. This gives them focus and purpose to complete things, and not procrastinate things or get lost in the process. Anand Joseph, who has been guiding interns is a Senior Research Engineer at Sayint. With Masters from IIT Madras, Anand has been an entrepreneur early on in his life and an ex-development lead at Teletext Holidays. While Likhitha mentions she would definitely recommend her friends to gain experience here. The product that is being worked upon here is unique. The work culture is really good and promotes learning and self-driven initiative. AI and Machine Learning are no longer some interesting terms, but actual technologies where I have hands-on experience. The company also provides access to resources like online courses, books and research material which are also used by firms like Uber, Netflix, etc.” is what Lithika signs off with as she takes the leap to fly ahead.